Amerigo Gazaway’s new *Soul Mates* series continues the theme of his previous work in creating collaborations that never were. 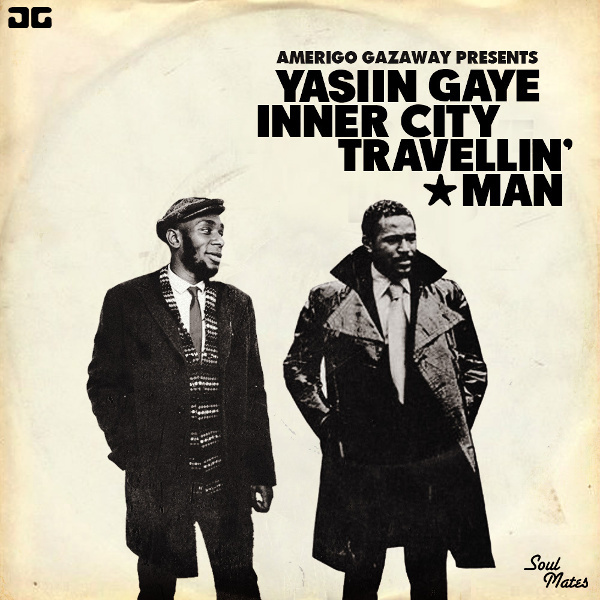 On the series’ first installment, the producer unites Brooklyn rapper Yasiin Bey (Formerly Mos Def) and soul legend Marvin Gaye for a dream collaboration aptly titled “Yasiin Gaye”. Building the album’s foundation from deconstructed samples of Gaye’s Motown classics, Gazaway re-orchestrates the instrumentation into new productions within a similar framework. Carefully weaving Bey’s dense raps and Gaye’ soulful vocals over his new arrangements, the producer delivers a quality far closer to Gaye’s famous duets than that of a “mashup” album. Above… the full 6 minute version… below… the teaser…. This entry was posted in Urban runnings..., Words, Sound & Power and tagged Amerigo Gazaway, Brooklyn, Hip Hop, Marvin Gaye, Mos Def, Motown, re-mix, soul, Soul Mates, Yasiin Bey. Bookmark the permalink.